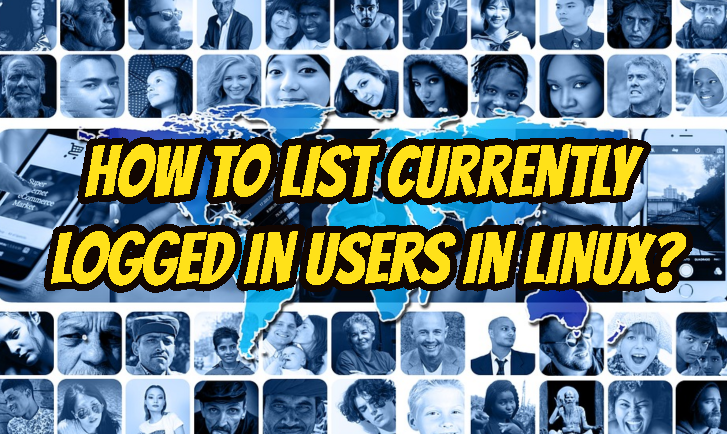 How To List Currently Logged In Users In Linux? I have Linux servers. There is a lot of different remote connection services like ssh, telnet, vnc, X11, konsole etc. I want to learn who is logged currently. And get details like connection way, connection time IP address etc. These information may become very crucial. There different commands to get this information. w is very interesting command which can provide information about currently logged in users. It provides extra information like TTY, Login Time etc. LOGIN provides when the user logged in. who command provides similar information like w command but it is simpler and more readable thenw. User will display the user name which is ismail in this case. We can get logged in users and get login screen with who commands -a parameter. This will provide more detailed information like other users. How To Set or Change User Password In Linux?